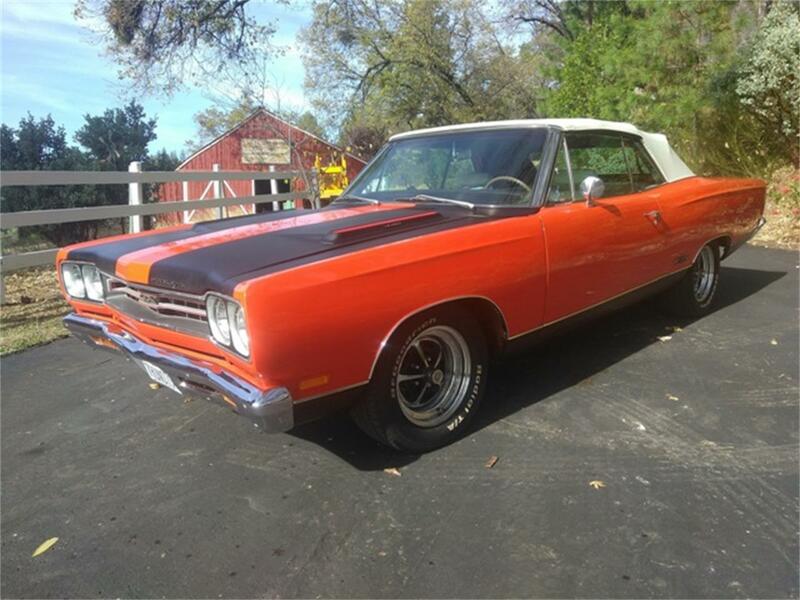 1969 Plymouth Convertible, "GTX" Badging and accessories, "Rotisserie Restoration" and absolutely Gorgeous, Date Code Correct 440 V-8, 375 HP Engine with "Ram-Air" Induction, Automatic Transmission, Power Steering and Power Brakes as well as Power Top. Dual Exhaust, Bucket Seats and Console with Stock Radio. Beautiful "Hemi-Orange" Exterior over new Factory White Interior. The Best of the Best! Drives like new!